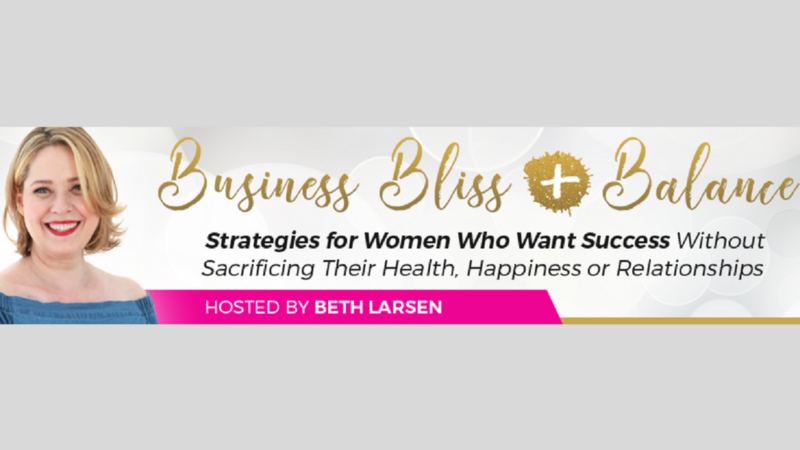 23 Experts share their top strategies, tips, and tools to help YOU attract more business, experience more bliss and have more balance! Marci Shimoff: NYT Bestselling author: (Happy for No Reason, Love for No Reason and the Chicken Soup for the Woman's Soul series), speaker, happiness and success expert. Topic: How to be Happy for No Reason and see your Business prosper! Katherine Woodward Thomas, M.A., MFT is the author of the New York Times Bestseller "Conscious Uncoupling: 5 Steps to Living Happily Even After", which was nominated for a Books for a Better Life Award, and the national bestseller, "Calling in “The One:” 7 Weeks to Attract the Love of Your Life." She is also a licensed marriage and family therapist and teacher to thousands from all corners of the world in her virtual and in-person learning communities. Topic: Opening up and bringing love into your life. Leslie Blodgett: creator, bareMinerals, Board Member, Spanx and Stella and Dot, new grandmother and new Stanford student! Topic: Life is NOW...age is no excuse to stop playing full out. Natalie Ledwell: Host of The Inspiration Show, Co-host of the cable TV show WAKE UP, co-founder of Mind Movies, co-founder of The Abundant Entrepreneur, best-selling author. Topic: releasing negative programming that holds you back. Leah Lund: Brain health coach and neuro-nutrient therapist. Nancy Matthews: speaker, author and founder, Women's Prosperity Network. Melissa Zoske: Energy, wealth and business alignment mentor. Topic: the energy of prosperity--the balance of giving and receiving in career, relationships and health. Katya Sarmiento: Systems pro and founder, Reach and Make Millions. Topic: Creating systems to support you. Randy Taran, founder/CEO of ProjectHappiness.org, a pro-purpose non-profit that creates emotional resilience building programs and educational tools for humans of any age. With a social media community that extends to more than 2.3 million people, Randy's mission is to provide strategies for well-being, mental fitness and kindness in challenging times. She is the co-author of the Project Happiness Handbook: the basis for an educational curriculum which bridges the best of positive psychology, neuroscience and mindfulness into the language of youth. Rachel Lankester, Founder of The Mutton Club, an online magazine and global community celebrating women over 40. Topic: Balanciing in times of transition. Topic: Tech tips and tools to help bring you balance and bliss! Cydney Mar: Product Development Strategist and founder, Cydney Mar Wellness. Elena Lipson: Self care mentor. Topic: Self Care and Self Love are the secrets to success. Shivani Bhagi: Career success and Leadership expert. Sarah Sparks: Executive coach, speaker, author and founder, Choose to Thrive. Christine Young: Body Love coach. Topic: Nurturing and Nourishing your body and energy. Topic: Clearing the clutter in your closet and managing your image so you can look great, feel great and BE great! Barbara Brown, Spiritual advisor to Presidents and world leaders. Topic: The importance of faith and connection to a higher power. Maria Therase Cucinotta, expert in divine feminine and divine masculine energy. Anji Cho, award winning architect, feng shui expert and podcaster. Jennifer Hough, a seer, alchemist, author, radio host and Facilitator of Awakening. Her work is to assist each of us to Awaken to our innate abilities beyond the five senses, to live life in flow and passion and to truly experience our lives as “a piece of the puzzle of Heaven on Earth” in this lifetime. Topic: How to stop sabotaging your happiness.